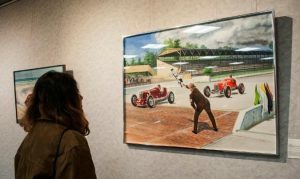 For the first time since opening its new gallery in 2016, the Indianapolis Motor Speedway Museum will present a specially curated exhibition of auto racing art, highlighting the work of the late John Orfe. Orfe was born in Philadelphia, Pennsylvania and began a life-long love affair with motor racing after seeing his first auto race at the famous circular Langhorne Speedway in 1932. 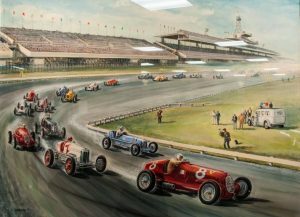 Orfe established himself as a commercial artist specializing in automotive and aircraft design for Ford, Chrysler, Volkswagen and Boeing, and his historic auto racing paintings were seen in several publications, including Speed Age, Circle Track and Open Wheel. The paintings on display in the Museum’s gallery depict auto racing legends including Mario Andretti, Mark Donohue, Parnelli Jones and Joe Leonard. Several items from Mr. Orfe’s personal collection are also on display in the Museum’s gallery. John Orfe retired from Volkswagen in 1987 and moved to Charlottesville, Virginia, where he continued to paint some of the artwork in this exhibit, including the two Vanderbilt Cup races from 1936 and 1937. He died in 2011 at the age of 89. 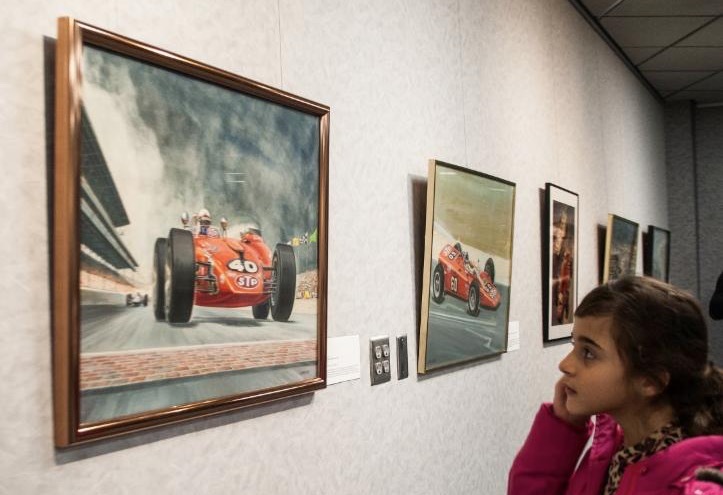 The exhibit will remain on display through March in the Museum’s gallery, which was part of a 2016 expansion of the popular facility.